Can Police Prove that the Marijuana Was in Your Possession? The good news is that many Possession of Marijuana cases are difficult to prove. First of all, it is often difficult for the prosecutor to prove that Marijuana was in a person’s “possession” within the meaning of the law. Simply because marijuana has been found in your car or home, does not mean you are necessarily guilty. 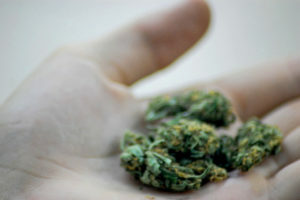 In most cases, the police must either prove that the Marijuana was in your pocket (or otherwise on your person) or prove that you confessed to possessing it in order to convict you. These cases are determined by the facts of the case, so it is important to have an experienced and knowledgeable lawyer to help you navigate through your Possession of Marijuana case. Did the Police Violate the Constitution in Finding the Marijuana? Whether the police has a legal basis for searching you or your car. If the police violated the Constitution in stopping you, questioning you, or searching you, your case will likely be dismissed. Marijuana cases are without a doubt the most common setting for these kinds of Constitutional violations, so be sure to ask your lawyer about these issues before trial or entering a plea. Can the Police Prove that What They Found is Marijuana? This may be the most surprising issue to non-lawyers, but the Prosecution has to prove that the substance found was actually Marijuana. It is not sufficient for the officer merely to say that it looks or smells like Marijuana – that fact must be proven by a chemical analysis in most cases. This can be done by testing the substance at the scene of the arrest using an approved Field Test, or it can be done by sending the substance to a State Laboratory to test it and determine its chemical composition. If these tests have not been run, or if they have been run incorrectly, then your case will be dismissed. It is important to note that the substance must be tested even if you admit to the police that you are in Possession of Marijuana. Because Possession of Marijuana cases are open to so many different defenses at trial, it is on Marijuana charges that having a lawyer is most likely to change the outcome of your case at trial or before trial. Many of these defenses are technical or strictly legal in nature and therefore may not be immediately apparent to someone without experience handling these kind of cases. As a result, it is almost always a mistake to go to Court without a lawyer in a Possession of Marijuana case. At Zinicola, Blanch & Overand, we have handled hundreds of possession of marijuana cases in Courts all over Northern Virginia. If you are charged with Possession of Marijuana, contact our offices for a free consultation.